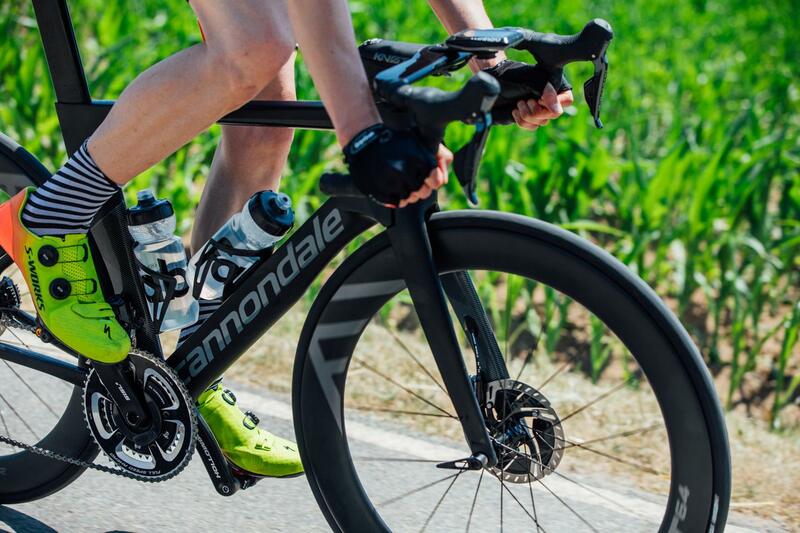 Cannondale has today launched the SystemSix, an all-new aero road race bike that is claimed to be faster than all its key rivals and is designed entirely around disc brakes. 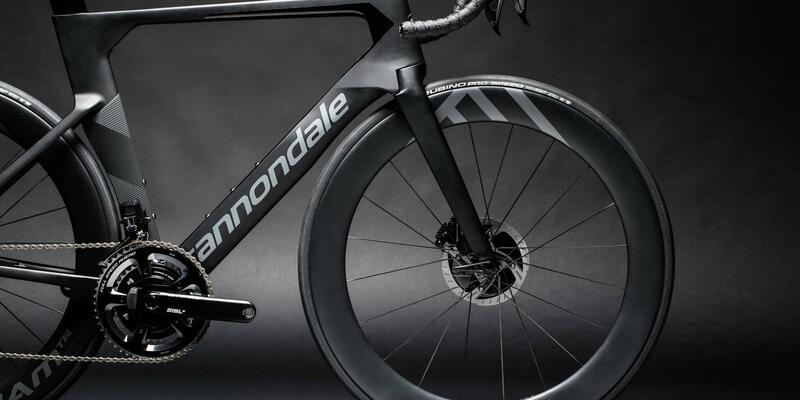 Those with good memories will remember Cannondale producing an aero road bike many years ago, but in this modern era, its range has definitely been lacking one when all its main rivals (Specialized, Trek etc) have invested so heavily in aero road bikes over the past few years. 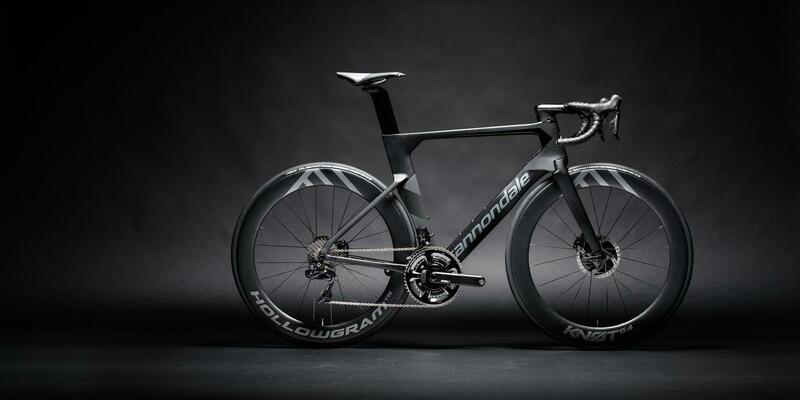 Cannondale's mission with the new bike is ambitiously bold: "To create the world's fastest road race bike." "Not only the fastest for a select few riders in a select few scenarios, but the fastest for anyone interested in going faster, just about everywhere you'd want to go faster." 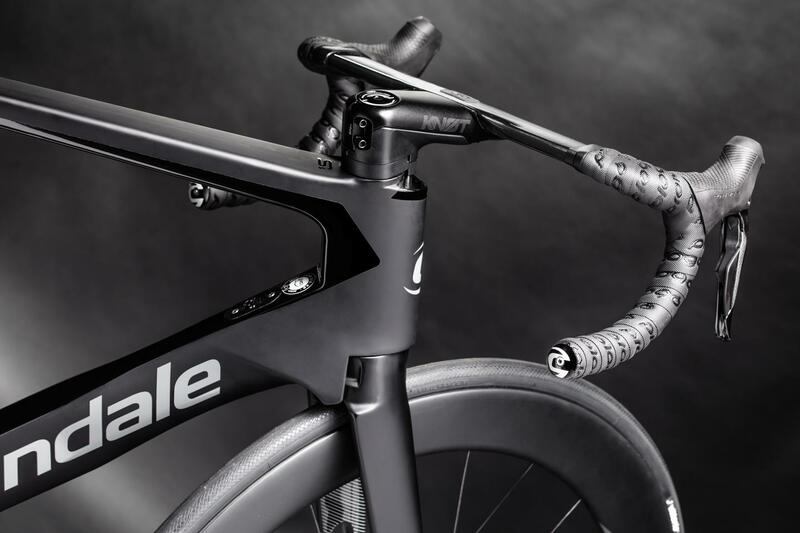 To meet this heady aim of creating the world's fastest race bike, Cannondale has taken a six-point approach to design the new SystemSix, focusing on the frame, fork, wheels, seatpost, handlebar and stem; hence the name, System Six. Cannondale has always taken a system approach with its bikes over the years. Developments like the Lefty fork and the BB30 Hollowgram crankset standard stand out as examples of the US company designing more than just the frame of which to hang standard parts. 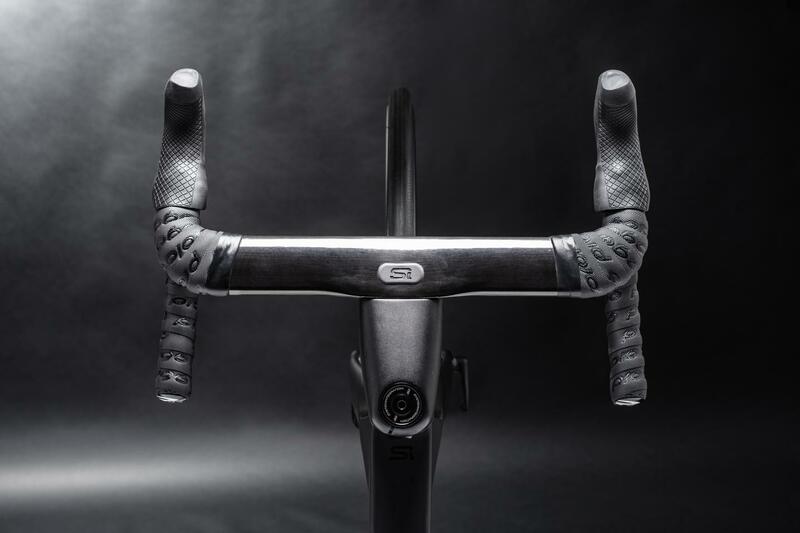 The new SystemSix sets a new bar for Cannondale's system integration, it really has viewed the bike as a whole and the relationships between all the key components to provide what it claims is the fastest aero road bike on the market. The frame has been designed using tailored airfoil profiles in all the key areas, with differing angles of truncation where needed to maintain airflow attachment to minimise drag. Asymmetric tube profiles help to provide the best response to pedalling and braking force, the seat stays are dropped out of the air flowing across the top part of the frame, there is an aero seatpost and multiple bottle cage positions on the down tube. The head tube has also been shaped to allow the cables and brake hoses to be routed inside, passing in the space between the headset bearings and carbon walls. It has also developed a new SystemSix handlebar and stem with the cables and hoses internally routed from the shifters/brake levers straight into the frame. The Di2 junction box is tucked away inside the downtube underneath the 'SwitchPlate,' an interchangeable plate that is compatible with any groupset, electronic or mechanical. Cannondale has fully committed to disc brakes with the new SystemSix, using the de facto flat mount calipers and 12mm thru-axles. But to enable speedier wheel changes it has adopted Mavic's Speed Release thru-axle system, a clever system that negates having to completely take out the axle to remove the wheel. Geometry hasn't been compromised in the adoption of disc brakes, it has carried over the geometry from the SuperSix Evo to the new SystemSix to provide the perfect handling balance. The Knot Systembar and stem is a two-piece aero handlebar that is obviously designed to be aerodynamic, with rounded truncated profiles, but unlike most fixed one-piece handlebars, it hasn't ignored personal fit requirements. A two-piece design allows 8-degree handlebar angle adjustment and gated spacers to raise or lower the stem without disconnecting the brake hoses. All cables and brake hoses are internally routed, passing out the bottom of the stem directly into the frame, with a cover that is designed to provide easy access and make lives for the mechanic a little easier. As you know, wheels are key in reducing drag, and the SystemSix project actually began with the wheels. It wanted to design the fastest wheel possible for modern wide tyres, to eliminate the drag penalty normally associated with running bigger tyres. It then built the rest of the bike around the wheels. The new Knot64 wheels are the result. They use a patented design licensed from HED, are made from carbon fibre (naturally) with a 64mm deep rim optimised for a 26mm wide tyre. Because the SystemSix is only available with disc brakes it was able to fully optimise the rim shape. Key to their aero performance is the 32mm outer width that helps to maintain flow attachment from wider tyres, creating a narrower wake and reducing drag. In its own testing against key rivals, Cannondale claims the wheels produced less drag at 0-degree yaw angles compared to the Roval CLX 64, Mavic Comete and Enve 4.5 wheels. Only the Roval tops the new wheels at a wider range of yaw angles. 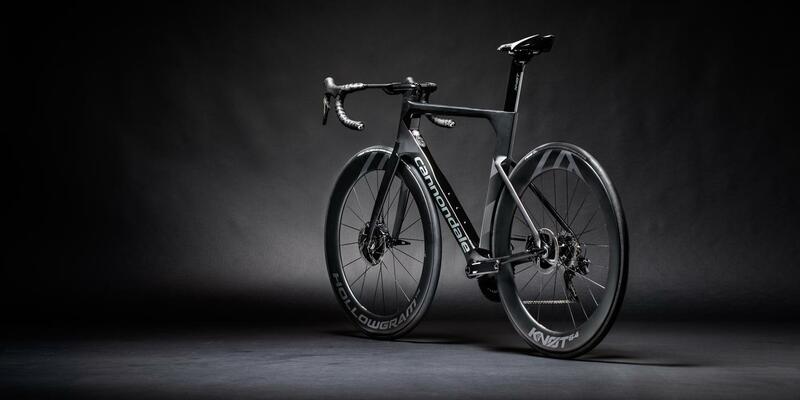 In its testing, Cannondale claims the new SystemSix produces lower drag at all wind angles than the Scott Foil, Pinarello Dogma, Canyon Aeroad, Giant Propel, Specialized Venge ViAS Cervelo S5, Felt AR and Trek Madone. 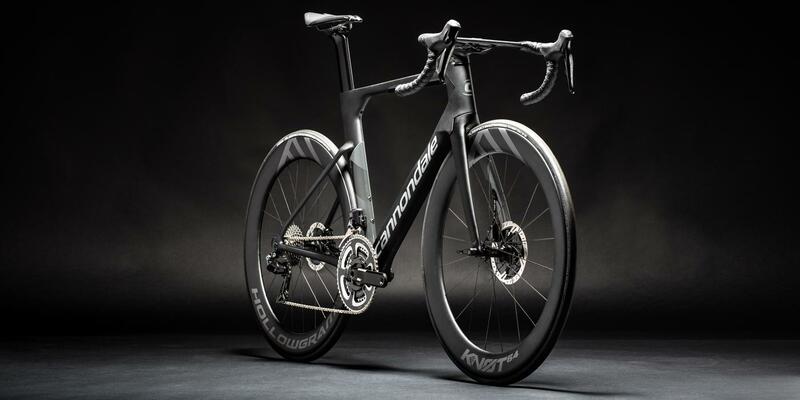 Cannondale says that the aero advantage of the new SystemSix ensures it is faster than the SuperSix Evo, or any lightweight climbing bike, up to a 6% gradient or more. So if you're racing and riding largely on flat roads with no mountain ascents, the SystemSix is the bike to choose over the venerable SuperSix Evo (still one of my all-time favourite road bikes). 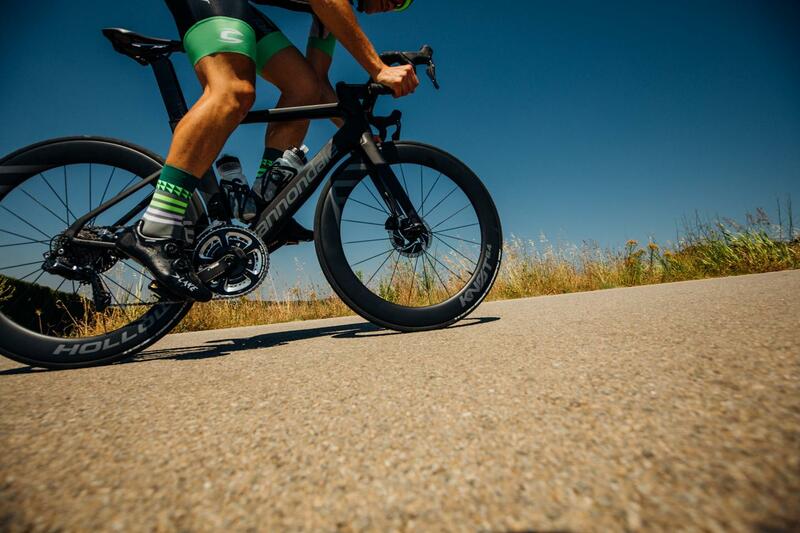 On a flat road, Cannondale claims the new SystemSix can save as much as 25-30 watts at speeds of above 35kph. At a cruising speed of 30 kph on a flat road, the SystemSix will save you 10% power compared to a traditional road bike. But when the gradient tips above 6%, the impact of wind resistance on your speed reduces as that other invisible force, gravity, starts to work against you. On such gradients weight becomes a growing concern to your speedy progress. That's why Cannondale claims the new SystemSix is faster than its current SuperSix Evo on any slope up to 6%, depending on rider weight and power output. That's the tipping point at which a lightweight bike still trumps an aero bike, and why there are scenarios when each bike will be able to play to its strengths. It's not just on the flat roads and climbs up to 6% that the new bike is faster, Cannondale is claiming you'll descend faster as well. We've certainly noticed this with other aero bikes we've tested and is an often forgotten side benefit of an aero bike. Descend a 5% grade at 60kph and the new SystemSix will require 100 watts less to maintain that speed than its SuperSix Evo, 300 compared to 200. That's a big efficiency saving and will clearly appeal to racers. The SystemSix range comprises five models in the UK with prices ranging from £7,999.99 for the SystemSix HM Dura-Ace Di2, to £3,499.99 for the SystemSix Carbon Ultegra. There will also be four frameset options as well if you want to go bespoke. Cannondale will be speccing all SystemSix Hi-Mod bikes with a Power2Max power meter. We're seeing more top bike brands start to offer power meters on fully built bikes, but of course here at Bespoke we can customise any build to suit your preferences and requirements, so don't hesitate to contact us if you want to discuss your new SystemSix build. Contact us if you want to know more about the new SystemSix.